The Bureau of Immigration has announced a stricter regime for issuing work permits to foreigners, saying it wants to protect local workers. BI Commissioner Jaime Morente said today (Wednesday, February 6) that work permits will not be issued to foreign applicants for blue-collar jobs, such as construction workers, cashiers, janitors and carpenters. Foreigners whose professions are regulated by the Professional Regulation Commission will also have to seek approval from that body, he added. “These new rules are meant to protect the interest of local workers. As we have observed that in the past, foreigners may abuse their permits and take away jobs from our kababayans [countrymen],” he said. The new rules will cover the provisional work permit (PWP) and the special work permit (SWP) issued by the BI. A PWP is issued to a foreigner who already has an alien employment permit (AEP) and has a pending work visa application, while an SWP allows foreigners with tourist visas to work on short-term for six months or less. 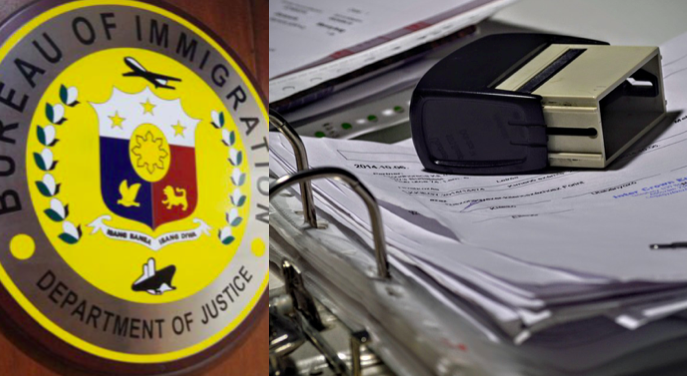 “This is to ensure that these work permits are issued only to aliens whose jobs could not be performed by Filipinos,” the commissioner said. The new regime comes after senators raised questions over the supposed surge in foreign workers in the country, many of them Chinese. Last year, the BI issued about 119,000 work permits to foreigners. Foreigners caught working in the Philippines without the proper paperwork can be sent to the BI’s notorious Bitucan detention centre, pending deportation and possible blacklisting from ever returning to the country. What about the thousands of different Nationalities of Foreigners who stay in the country for many years using Visa Extensions but their only source of income is creating YouTube Videos about The Philippines? What about the Thousands of Koreans who work in Angeles City Korea Town, Balibago Bars, Restaurants, and Stores, “NO WORK PERMITS”? They are taking away Filipino’s Jobs. There are 400,000 new foreign workers in Metro Manila alone. The vast majority of them are Chinese. This is part of the slow surrender of the Philippines engineered by Duterte and Xi. Eventually, we will become the Philippine Province of China. “I simply love Xi Jinping.” — Duterte in April of last year. Lapdogs tend to love their masters.